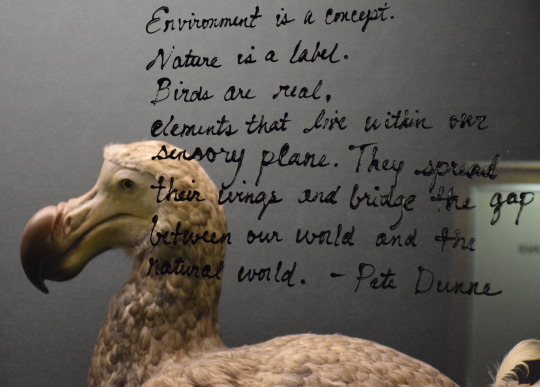 If you walk through Bird Hall this month, you might notice that there are more than just specimens on display. 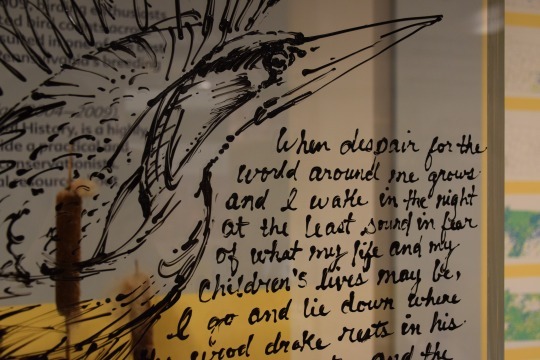 Artist in Residence Ashley Cecil has been drawing birds and writing poems, song lyrics, and quotes about birds, conservation, and nature on the glass displays cases that hold hundreds of specimens. 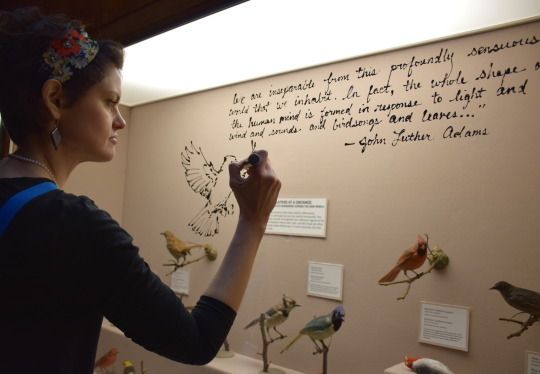 Ashley worked with museum scientists who shared quotes and works of art that inspired them to enter their fields and study birds. 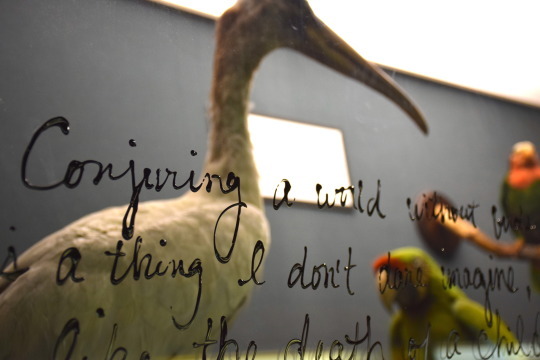 Ashley Cecil is the artist in residence at Carnegie Museum of Natural History. Through her residence at the museum, Ashley is creating art inspired by nature and exploring the nexus of art and science.